James Cotton is an entrepreneur with business interests in Internet, Software and Sustainability in addition to social & philanthropic interests. 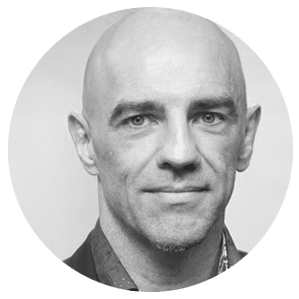 In 2005 James founded CMO Software which grew to become one of the leading Governance, Risk and Compliance Software companies globally, as recognized by independent analysts including Gartner & Forrester, which he sold for $100m in late 2013. Founded in Melbourne and then based in London with offices in Houston, Atlanta,Copenhagen, Pune, Tomsk & Dubai, CMO were the pioneers of mobile technology in the space. The award winning CMO Software as a Service (SaaS) solution was used by global leaders in heavy industries such as mining, oil and gas sector around the world. Fortune 500, ASX 100 and FTSE 100 companies relied on CMO Software to reduce risk, save money and improve performance. 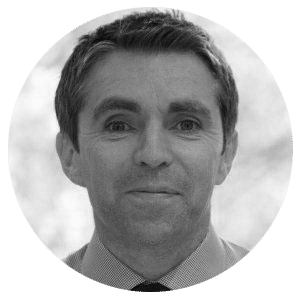 A former British Royal Navy Aircrew Officer, Paul is an exercise Physiologist, Nutritionist and Neuroscientist, who is currently completing a PhD in Workplace Health and Wellbeing at the University of Tasmania. Since being in Australia, he has started and sold a number of businesses, including the Personal Training Academy (a Registered Training Organisation that certifies Personal Trainers), BioAge Software (used by many gyms, as well as The Biggest Loser TV series for 4 years), Acumotum (Australia’s first Body-Brain Fitness Gym) and the Body-Brain Performance Institute, where he continues to deliver Performance Wellbeing training to Leadership Teams of large Organisations. In 2010 Paul created and co-hosted the Channel ONE HD TV series Body and Brain Overhaul and he was voted Australian Fitness Industry presenter of the year in 2010 and 2015.  Paul started Ritualize a few years back with the goal of positively influencing the wellbeing and performance of the maximum amount of people possible, and is delighted to see that become a reality. He is married with 2 awesome kids and in his spare time pretends to not be too old to play competitive soccer or get in the boxing ring. He occasionally likes to dress up as a smurf for a night on the town. Jason is a talented senior leader with a strong track record of building teams and developing and delivering effective solutions for his clients. Prior to joining he held a number of product and operations roles with Gartner Cool Vendor G2G3 through to their acquisition by FTSE50 Capita Plc. He is passionate about building products with strong narratives and effective feedback loops which create compelling calls to action. His experience includes products in the simulation, serious games and gamification market. In a previous life Jason was an officer in HM Royal Marines. Henry’s career focus has been on facilitating the transformation of effective organisations and their most important asset, their people. At the heart of transformation are the personal engagement and ownership that lead to self determination, vital for sustained positive change in life and performance. 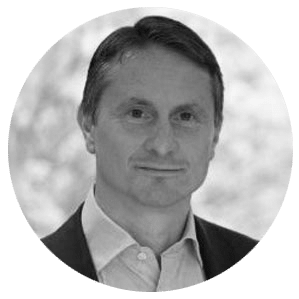 From his days as a Royal Marines Officer, as a coach and facilitator, and as Head of Organisational Change and Personal Development, he has used experiential and gamified approaches to inspire this change in leaders, teams and their people. Henry is delighted to join the Ritualize team, bringing the product to the UK and Europe so that he can help engage businesses and their people to transform their lives, wellbeing and effectiveness. Without customers, we’re just a good idea. At Ritualize, we like to tailor solutions to our customers’ needs and like to help them measure the success – or otherwise – of our programs. We have a fair amount of expertise, but we are continually striving to get better. This includes seeking constructive criticism from each other and our customers, and acting on it; seeing failure as an opportunity to learn and improve; and seeking out challenges that stretch us personally and professionally. Ghandi said it, and we like to live it. If you want to work in a cool place, then be an awesome colleague. If you want the world to be a better place, create or work in a business that strives for it. And if you want to be understood, first seek to understand. The idea was born in 2014. Paul then enlisted the help of his mad creative genius friend Damien, and together they wore out many a whiteboard marker mapping out the idea and journey. As soon as the business idea took shape, Paul enlisted the commercially savvy Matt McCann to become Chairman & co-founder. Next step was to build a MVP (minimally viable product). Then to road test it in a clinical environment. Inspirational Woolworths CEO, Tjeerd Jegen, funded a clinical trial, and the product was successfully tested with Woolworths employees. Late 2015 saw the first customer launch, with Johnson & Johnson ANZ. Ritualize rolled out a town-wide wellbeing program with Rio Tinto in Weipa, Far North Queensland, Australia. Medibank got nominated for a HR award for the internal roll-out of Ritualize. In early 2017, Ritualize entered the UK market with heavyweight customer Carillon.